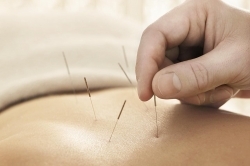 Have you ever considered acupuncture? So many people are initially put off by the treatment with the mere mention of needles, however we are here to assure that the treatment is in fact painless and very relaxing. Acupuncture has been practised for thousands of years throughout the far East and can be used to treat a wide range of problems. Inserting the needles into the upper layer of your skin can help to stimulate your body’s natural healing responses. Treatments will usually last around 20 minutes and they have been known to have a very positive effect on both mental and physical health, especially pain related and chronic health conditions such as Fibromyalgia. Acupuncture is suitable for all ages and helps to promote the body’s natural healing properties and can also provide you with a relaxing and enjoyable experience. We recommend an initial course of weekly treatments, which then can progress on to “maintenance” or seasonal treatments. For further information please contact Action First. FAULTY FRIENDS SUPPORT GROUP - SELBY???? WILL YOU ALSO BE A NEW PATIENT TO THE CLINIC? IF YOU ANSWERED YES TO BOTH OF THE ABOVE THEN CONTACT US TO BOOK YOUR ACUPUNCTURE APPOINTMENT AND QUALIFY FOR A £5 DISCOUNT! * (T&C apply - voucher required to qualify for discount and must be presented on payment).